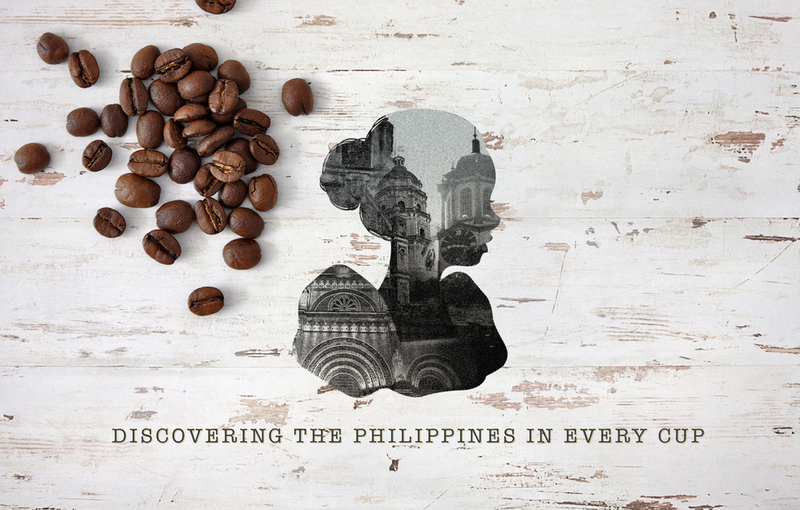 Kape Maria is a social enterprise from the Philippines. It aims to encourage Filipinos support local coffee and to work with local coffee farmers to improve and expand supply. I was asked to create a symbol that personifies the Filipina woman and what can be more Filipina than the iconic butterfly sleeves of a Philippine terno? Kape Maria's premium coffee beans are sourced from different places like Cavite, Benguet and Ifugao Province. The idea is show a bit of history of the place where the particular blend originated through a collage of pictures inside the silhouette. As of writing, Kape Maria has four blends: Mt. Pulag from Benguet, Mt. Calawait from Ifugao, Sierra Madre from Bulacan and Apo from the Mindanao region. Kape Maria is available in all Human Heart Nature branches and dealers (or their website), and in Heima stores. Pictures by Everywhere We Shoot.